Watching the yearly Doctor Who Christmas special is fast becoming one of my personal Christmas traditions that I most look forward to. 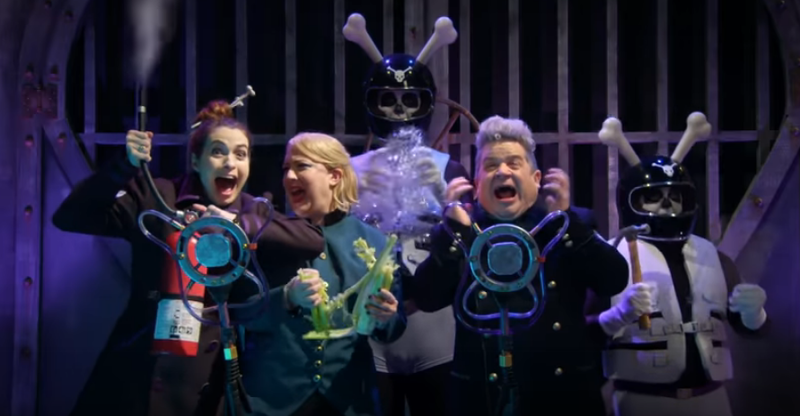 I’ll admit that I wasn’t entirely thrilled by last year’s iteration; it was saccharine sweet and lacked any real drama compared to most episodes of the show. I remarked in my review that “I think they should be less “Christmasy” for the most part from now on. The Christmas gimmicks worked very well at first, but seem too forced now.” Gladly, aside from a snow theme, this episode lacks any sort of “hitting you over the head” Christmas treatment that we’ve had in the past. As the episode opens with a group of people being massacred by an army of sentient snowmen, filled with what appeared to be evil snowflakes, I knew I was in for a real treat. Right from the moment the opening theme starts, this second half of season 7 is really starting to show that this year is a special anniversary year. 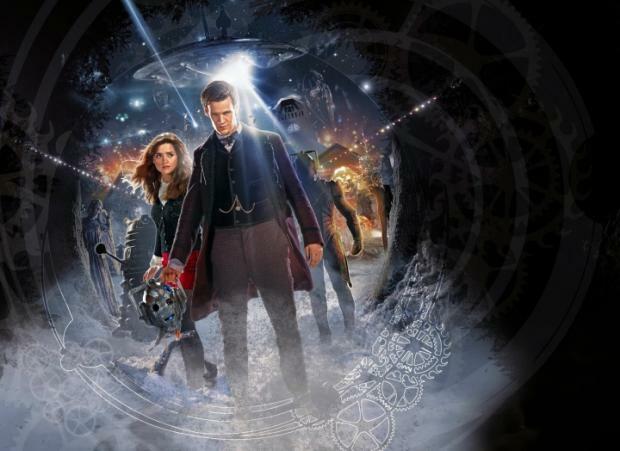 Some fans have complained that Steven Moffat didn’t follow through with making this new show (2005-current) like the old one, a claim he made years ago as he was just getting handed the reigns to the Doctor Who show-runner title from Russell T. Davies. 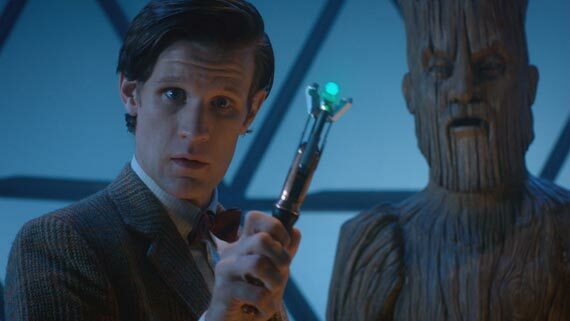 Right away we have a new opening sequence with graphics that include swirly space debris and a picture of Matt Smith’s face in stars, a small detail that looks back at the show’s past. I’m not going to lie, my wife and I “Marked out” (to use a pro wrestling term) when we saw this new intro. It wasn’t even an earth shattering change or anything, but it really shows that small things like that can make or break it for some people. New fans won’t even notice the charge, bus us older fans have another little touch there to make us happy. The new titles sequence isn’t the only change we had in this episode. We were also graced with a new Tardis interior that was obviously somewhat based on the original one using the basic structure of the one from the last few seasons. Now it’s just far more spacious, has lighting, and gives an entirely new (and yet old) sci-fi feel rather than the played out “organic spaceship” theme that was sort of refreshing in 2005, then used by every other sci-fi show. The Doctor is also sporting a new outfit that somewhat carries over to the next episodes based on the “coming soon” trailer. The actual plot of this episode involves evil snowmen controlled by an old villain that we haven’t really seen since the Patrick Troughton era. “The Great Intelligence” that we see here, played by the voice of Ian McKellen, is sort of a reimagining of the creature of the same name we saw in The Abominable Snowmen and The Web of Fear. In fact, this episode is directly tied to those older episodes with little bits of dialog tossed in as a nod to fans. Ian McKellen does a great job providing a booming evil voice that we would expect from something called “The Great Intelligence”. Richard E. Grant, who played the Doctor in Scream of the Shalka, returns to Doctor Who playing a character named Walter Simeon. Simeon met “The Great Intelligence” as a young boy, and used its power to get back at those that hurt him, and gained power for himself. 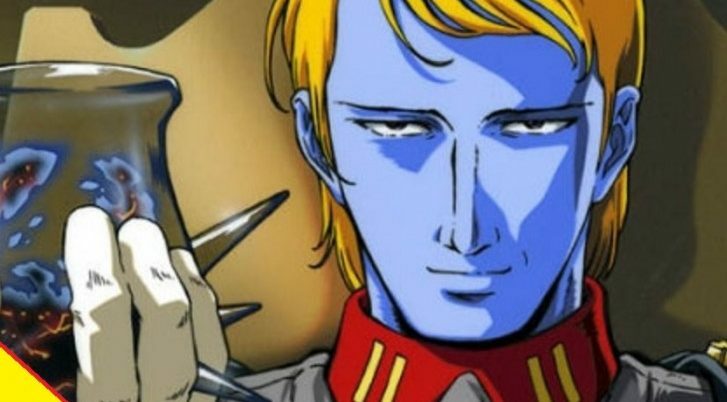 Little did he know that he was merely a pawn in the grand scheme of things. The Doctor has been “laying low” and attempting to place himself into the same sort of self-imposed retirement we saw him in way back when we first met the character with William Hartnell in the role. 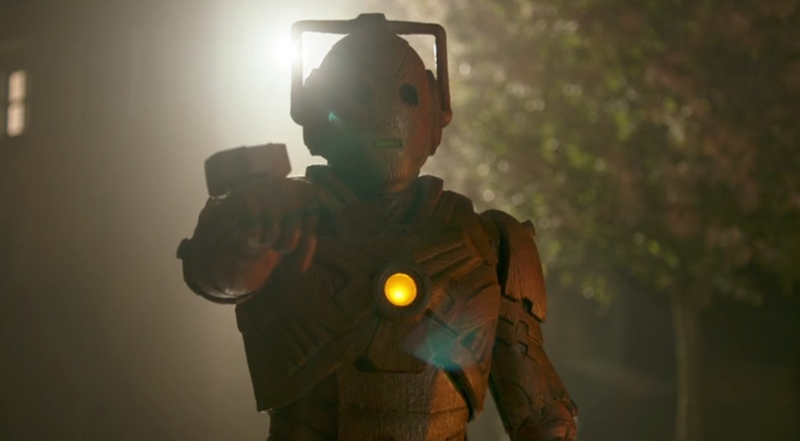 Luckily he isn’t in total hermit-mode and has been hanging around the “Paternoster Gang” including the sword toting Silurian warrior Lady Vastra, her human wife Jenny, and their butler Strax, a reluctant Sontaran servant. I really love these guys, and am glad that they will be somewhat taking the place of River Song now that the Pond saga has ended. 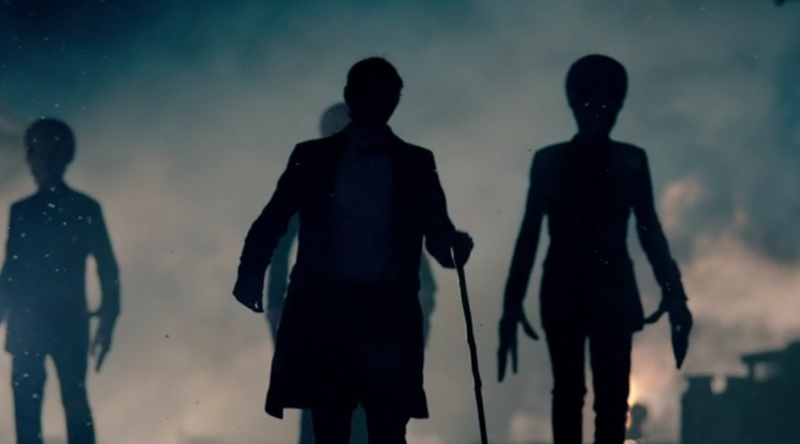 I was really hoping for a non-human companion this year, and although these three aren’t the main ones, I can handle them being there a few times this season. Most of the fun comes from the same sort of humor that used to pop up in Star Trek: the Next Generation with Worf. The fun lies in taking Strax, from the warrior Sontaran race, and placing him in mundane situations that he hates, can’t relate to, or simply doesn’t understand. I love Strax because he does things like suggest maximum force in every situation, like throwing grenades at something or blowing up the moon, when said action is grossly inappropriate. Also returning are the very same dark fantasy elements that have been popping up in the entirety of Moffat’s tenure as show-runner. 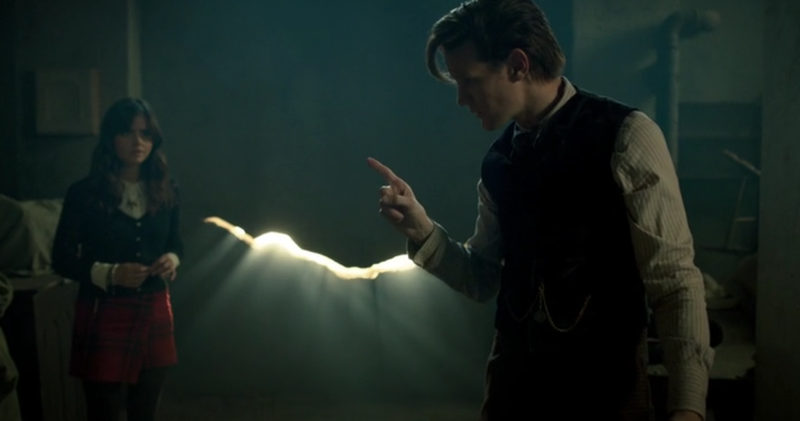 I really liked an instance where Clara found the entrance to the Tardis in a cloud only reachable with an invisible “Stairway to heaven”. Rather than just having the Tardis sitting next to a building or something, the production team went the extra mile to make Clara discovering the Tardis that much more special. This of course reminds me of stuff from Neil Gaiman, fitting that he wrote a script last season, and has one this season as well. Jenna Louise Coleman returns for a follow up to her previous encounter with the Doctor, this time playing a “new” character named Clara. Once again we can see that Clara is far more intelligent than some previous companions and takes charge in a similar way to Ace way back in the late 1980’s. 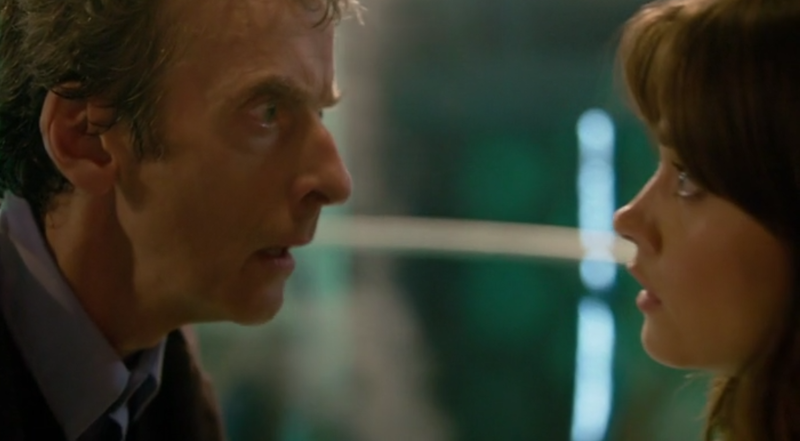 She gives me hope that the Doctor has met his match in a companion that won’t take guff from him. 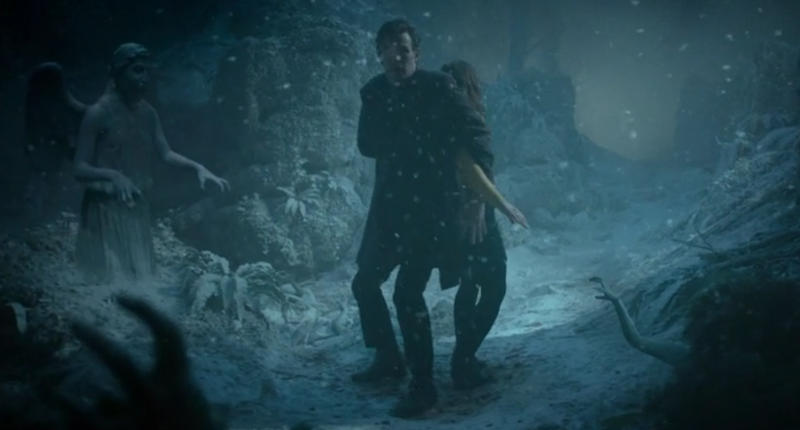 I like Amy Pond quite a bit, but felt that she sometimes fell in line with the old “companion always getting in trouble” mold, here’s hoping Clara stays strong. 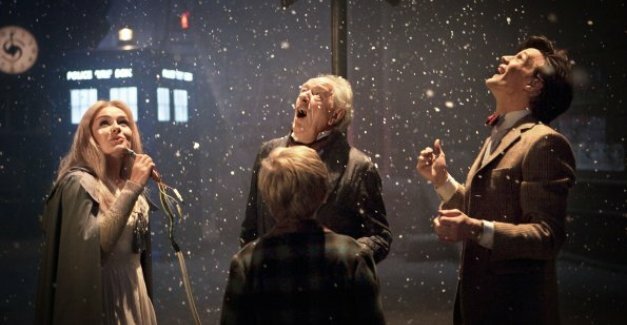 There were a few quibbles to be had with the episode, like the scheme of the Great Intelligence never really being fleshed out fully, and some wonky computer generated effects with the “old Governess” but for the most part I feel that this was a very strong Christmas special, far better than last year’s. 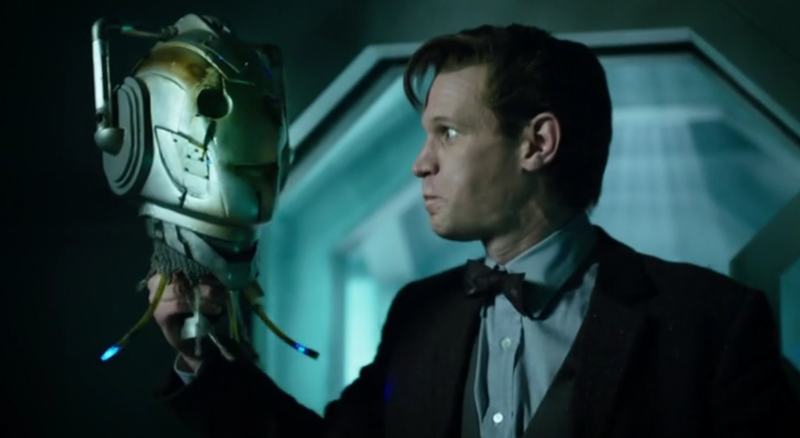 I can’t wait for this upcoming season, a new companion, and the return of the Cybermen as written by Neil Gaiman! Before I get into my review of The Doctor, the Widow, and the Wardrobe, I’d like to talk about something that has bothered me for a while. After numerous Christmas Specials from Doctor Who, I think they should be less “Christmasy” for the most part from now on. The Christmas gimmicks worked very well at first, but seem too forced now. 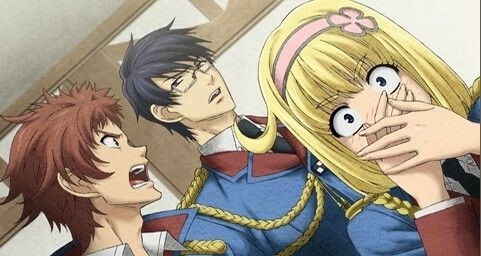 I’m not saying that I dislike them at all; it’s just hard to take them as seriously as some of the other episodes. When we’ve seen the likes of evil Santa robots, evil Christmas trees, Christmas star shaped spaceships and a lot more. Where exactly do we go from there? 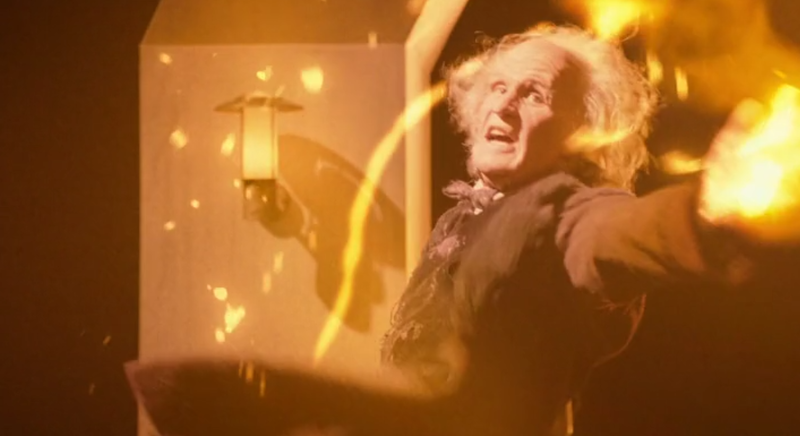 There are only two Christmas related plots I’d like to see 1) one episode where the travel back to the historical first Christmas (but that would most likely anger many Christians), or 2) Have the Doctor Save some children from Krampus, the evil alternate Saint Nicholas that punishes bad kids. Maybe the Christmas specials should start being just “epic” long form episodes like The End of Time; that was such an episode and we didn’t have to cringe our way through demonic nutcrackers from Pluto or any other contrived plot devices. As one can tell, The Doctor, the Widow, and the Wardrobe is vaguely based on the legendary series of novels by C.S. Lewis: The Chronicles of Narnia, and more specifically The Lion The Witch and The Wardrobe, perhaps the most loved volume in the entire series. When I heard that the episode was going to be based on the Narnia mythos, I was worried. I didn’t want to have the Doctor travel to a planet inhabited by talking lions and have to explain that Narnia was real or something. Thankfully there was no such fan-fiction fueled “fanwankery” and what we ended up with was an episode using a plot device from the series: kids that travel to a far off land in a box. 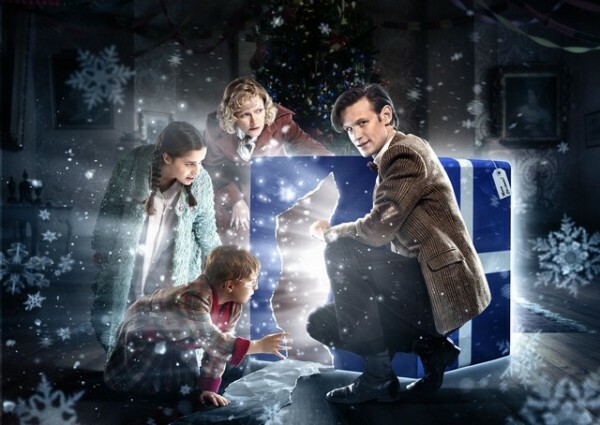 This was much more like the previous Christmas special, A Christmas Carol, in that it was similar to the source material, but wasn’t a true remake of it and tried to stand on its own despite the allusions. My only problem with the way it was constructed was that it felt like it honestly lacked any real “spirit” from the books it was based on. We had kids traveling to a snowy planet and all, but they weren’t really the main characters. Madge, as played by Claire Skinner, was the main character, her children were simply window dressing in the grand scheme of things. This was a story of a strong woman overcoming adversity in the face of peril to save her kids, not a tale of wonder and adventure in a new world. 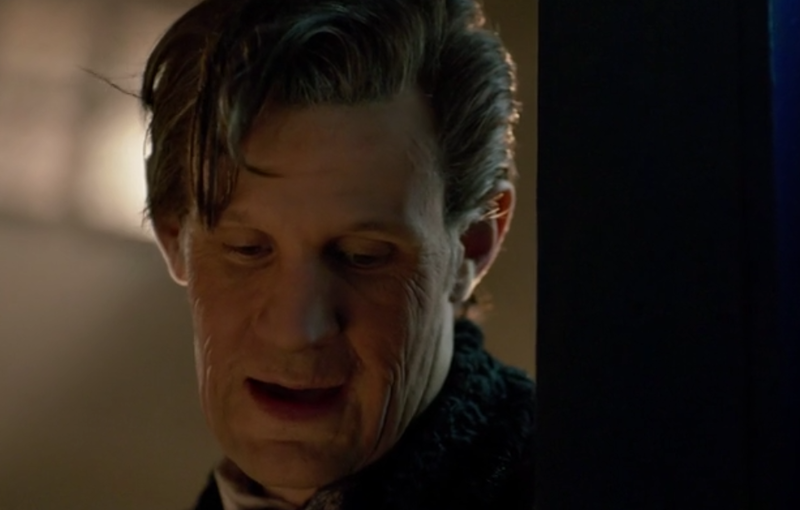 I liked The Doctor, the Widow, and the Wardrobe, but felt that it played it too “safe” for the most part. It was a fun little romp that makes for a nice palette cleanser after all of the dark stuff that happened in the last few episodes of season 6. With strong performances from Skinner, a funny little cameo from Bill Bailey and a strange alien race to fight, it had all the trappings for what it was made to be: a fun Christmas bit of family viewing. Should I be sad, however, that I would have rather seen something a bit less “by the numbers”, something like the pre-credits sequence with the exploding ship?